UPDATE: Hi-de-Hi has now been cast, but there is still time to get involved with the production backstage or in other aspects of the show. Get in touch! If you'd like to get involved in GDS' next production, Hi-de-Hi, now is the perfect time to get in touch. We are holding open readings for this show, which promises to be great fun. 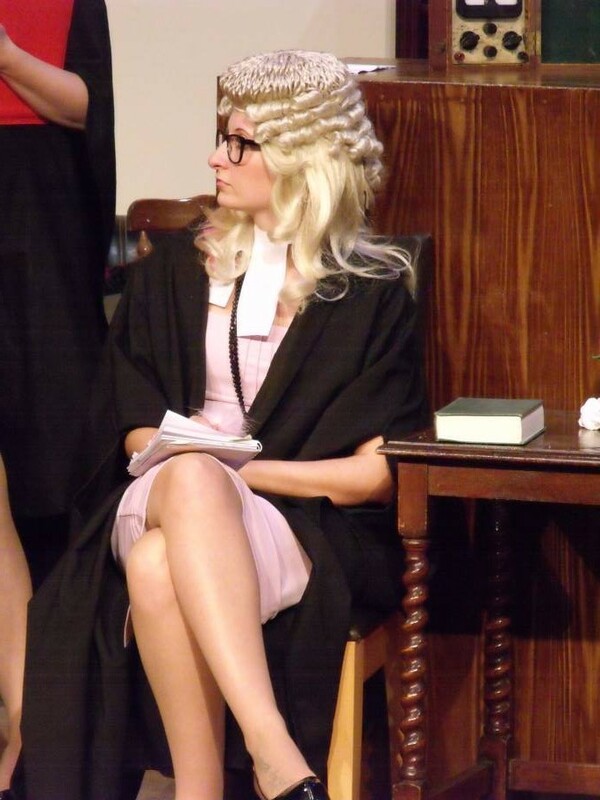 Our shows are cast through readings (we sit down and read the play out loud) which is much more relaxed and less stressful than a formal audition. This show has a cast of 17! That includes some small roles that might be ideal if you'd like to build your confidence. If you wish to be considered for a part, or for a backstage role that requires you to be there during the performance (eg stage manager), you must be available between 22-28 May 2011 (and preferably the week before too). If you would like to be on stage, or get stuck in backstage or in any aspect of the production, drop us a line or come to one of our events. Open night: Open to all. Join us to find out more about who we are and what we do. A great introduction to the society. First reading of Hi-de-Hi: Open reading of the play. You won't be asked to stand up and do an audition, we just read the play through, giving you a chance to see what it's all about. You can get involved or just listen. Second reading: Another open reading of the play. 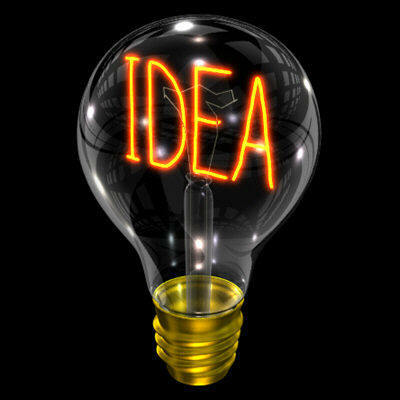 We also need people to volunteer to help us deliver a top quality production. We are particularly keen to hear from Graphic Designers and promotions volunteers. Weather Update - It's warm in the Guildhall! In case any of you were wondering, we are (snow) ploughing ahead with our performances this week. It'll take more than a dusting of snow to keep us away from the stage! Opening night is tonight, and we can't wait to share the show with you. 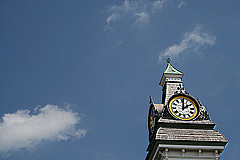 Remember, it's nice and warm in the Guildhall, so come and see us! Help came from an unexpected source: a medieval re-enactment society! Paul Spence, a member of 'Lord Burgh's Retinue', has generously offered to lend us his fifteenth-century replica suit of armour. 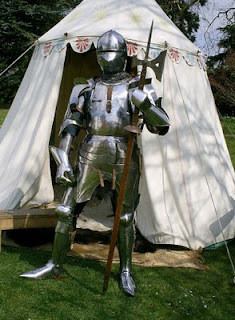 Mr Spence commented: "I'm more than happy to lend my reproduction armour for Grantham Dramatic Society's play. 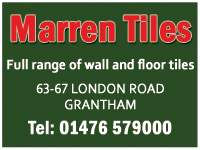 We are always glad to help out worthy causes like this." 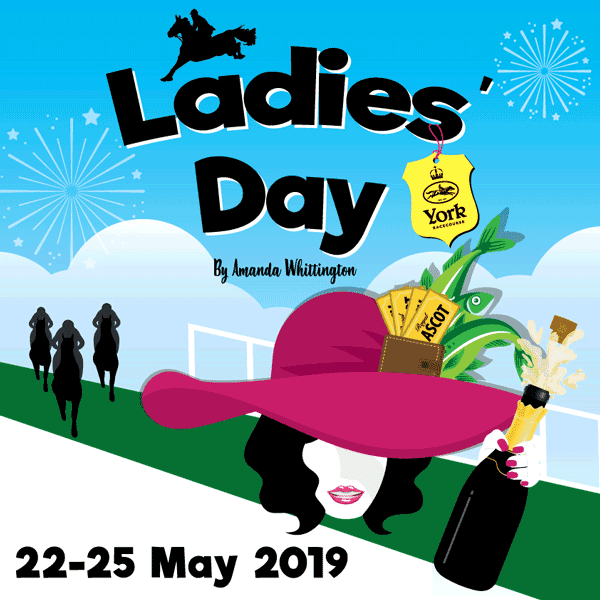 Vicky Williamson, Grantham Dramatic Society's Chairperson, said: "Paul Spence's help has made a huge difference to the production and we can't wait to get into the theatre to see the armour on stage. It will make a real impact!" As described on their website, http://www.lordburghsretinue.co.uk/, the Retinue is dedicated to the accurate recreation of prominent Lincolnshire historical figure Sir Thomas Burgh's retinue and household. The group promote knowledge and interest in the Burgh family and its homes at The Medieval Manor House in Gainsborough, and other associated sites such as Lincoln Castle, demonstrating many varied and exciting aspects of life in 15th century England. 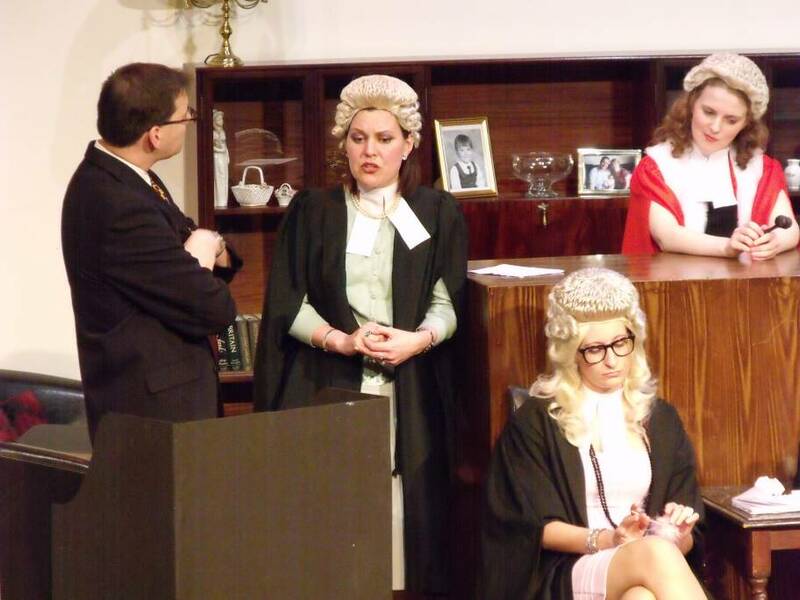 The comedy whodunnit 'Wanted - One Body' will be performed at the Guildhall Arts Centre from 1st to 4th December. 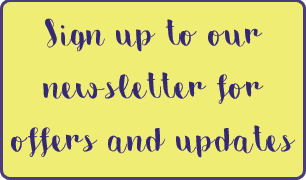 Fancy having a go at writing? Well then here is your chance! We are running a small script writing competition open to all, so get your creative juices flowing. All you need to do is come up with a five minute sketch, type it up and send it by Friday 15th October to Vicky Williamson at chairman@granthamdramaticsociety.co.uk. Everyone likes a comedy but any topic is open, and there will be a small prize for the winner! Rehearsals for our latest production, 'Wanted - One Body!' are under way, and - when we can stop laughing - the other aspects of the production are progressing too. Here are a few snaps from rehearsals to give you a taste of the action to come. Why not book yout tickets today, and take advantage of £1 off every ticket bought before 1st November? 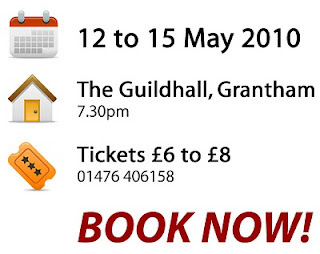 Book online or call the Guildhall Box Office on 01476 406158. Thats right, we've gone all modern here at GDS central and have got ourselves on Twitter. 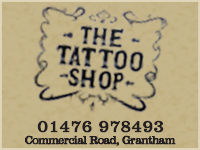 Follow us at wanted1body, or you may find us by searching granthamdramaticsoc'. We will be posting all sorts of interesting gubins about the next show, it will also be worth keeping an eye out for a few new faces on Facebook in the weeks to come before the show in December! At a loose end at the weekend? Well, no need! Its £6 for adults and £3 for children, and thats cheap at the price! 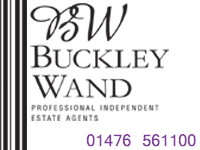 If you'd like to come along please give Vicky Williamson a call on 07535950529 and she'll tell you more. Places must be booked in advance. 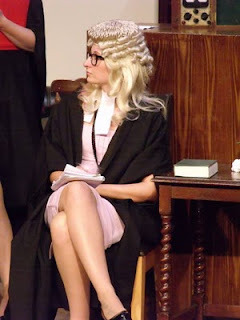 The Annual General Meeting of Grantham Dramatic Society is due to take place on Friday 9th July at 7.30pm. The meeting will be held at the Society's rehearsal rooms at Unit 19, The Old Malthouse on Springfield Road. Any member of the public may attend, and the regional representative of NODA (The National Operatic and Dramatic Association) has been invited. 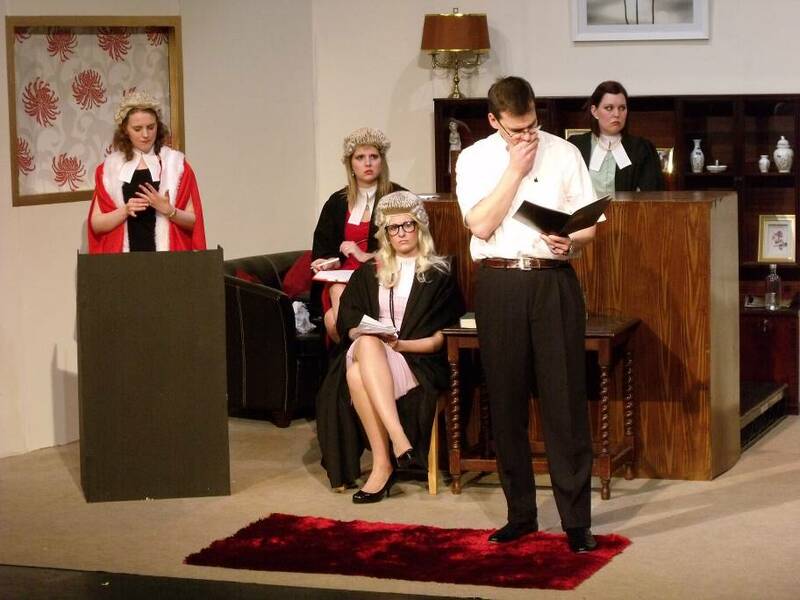 Grantham Dramatic Society would also like to announce that their next production will be a comedy whodunnit 'Wanted - One Body' by Charles Dyer, which will be performed at the Guildhall Arts Centre from 1st to 4th December 2010. The GDS team are hard at work choosing the next play to be produced, so we'll keep you updated as soon as possible! Put 1st to 4th December performances in your diary now! The video supporting our latest theatre production has been featured by Grantham Journal as their 'Youtube video of the week'! Our production of 'Time to Kill' should also be appearing in What's On lists soon, as the opening night approaches. Lincolnshire won't know what's hit it! Keep an eye out for our new posters! The posters for our latest show will soon be appearing around the area, along with thousands of leaflets. The poster features our gorgeous cast members - Jo, Gill, Vicky and Blair - getting into character, along with the charming Chris. Leaflets also feature dashing Matt on the reverse. 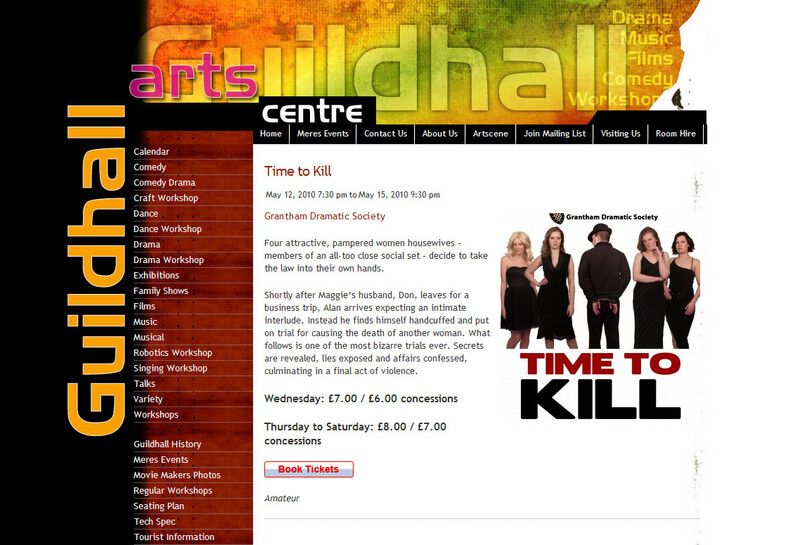 Time to Kill will be performed at the Guildhall theatre from 12 to 15 May. 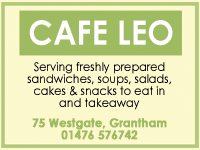 Call 01476 406158 to book. Would you like one of our posters or a handful of leaflets to display in your shop, office or workplace? 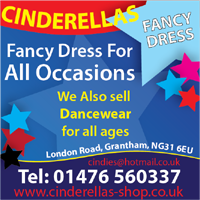 Email info@granthamdramaticsociety.co.uk! 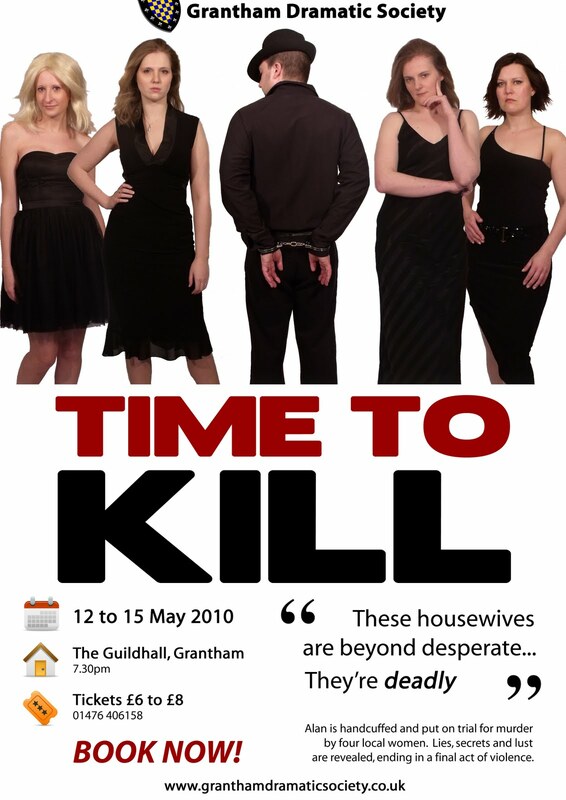 Coming to Grantham Guildhall theatre from May 12th to 15th, tickets are now on sale! 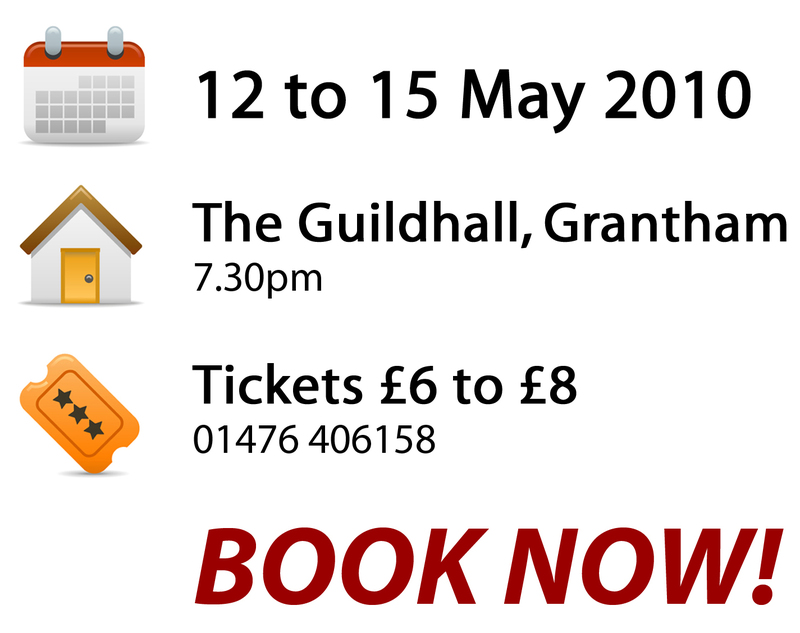 Call the Guildhall Box Office 01476 406158 to book. These housewives go beyond desperate, they’re deadly. Members of an all-too close social set, four attractive, pampered women decide to take the law into their own hands. Shortly after Maggie’s husband, Don, leaves for a business trip, Alan arrives expecting an intimate interlude. Instead he finds himself handcuffed and put on trial for causing the death of another woman. 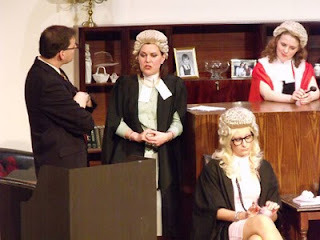 A ‘court-room’ is set up with props from a recent amateur dramatic production, and there follows one of the most bizarre trials ever. Secrets are revealed, lies exposed and affairs confessed, culminating in a final act of violence. After all, when women talk about justice, they mean retribution. Here's a video to promote our latest theatre production - a gripping drama live on stage! the video is a parody of Tracey Ullman's 'They Don't Know About Us', featuring zombie brides and running in the street!